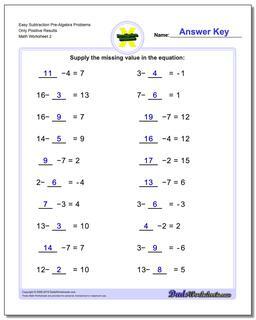 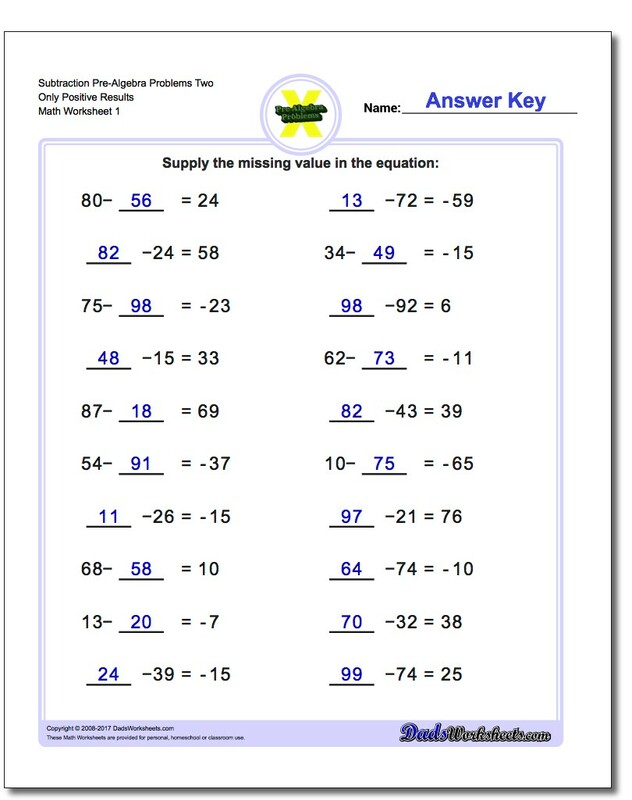 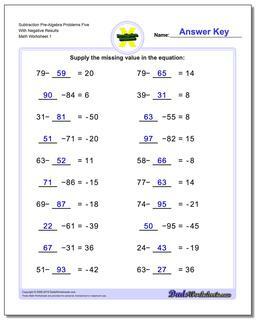 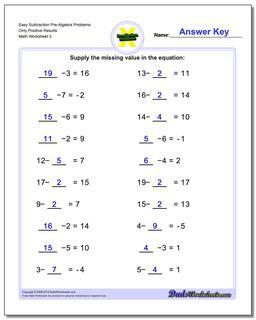 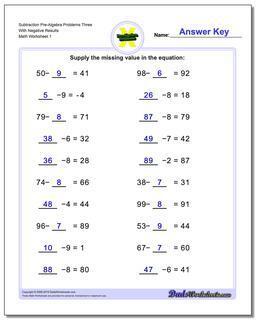 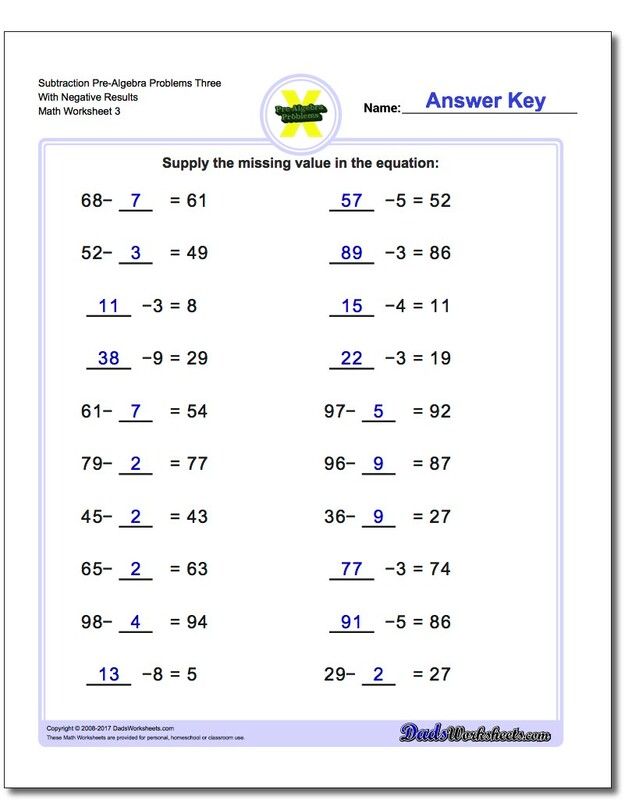 The pre-algebra subtraction worksheets on this page present number sentences with missing values that students fill in. 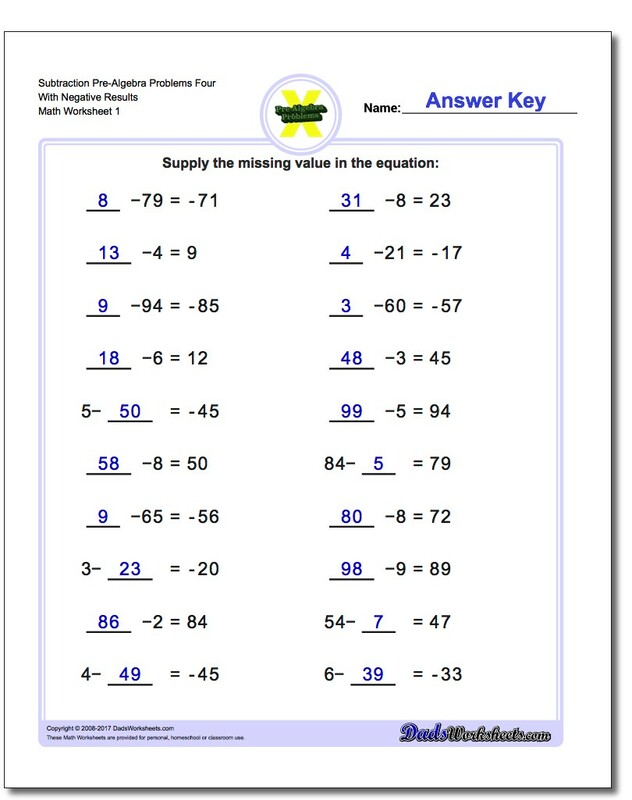 This is a way to introduce the concent of 'missing' values in a subtraction equation without the potentially scary letter variable notation. Even though algebra concepts often aren't introduced until later grades, these types of problems are based on very simple arithmetic that can be understood by 2nd or 3rd graders, and these worksheets can be used along the process of learning the basic addition facts as well. 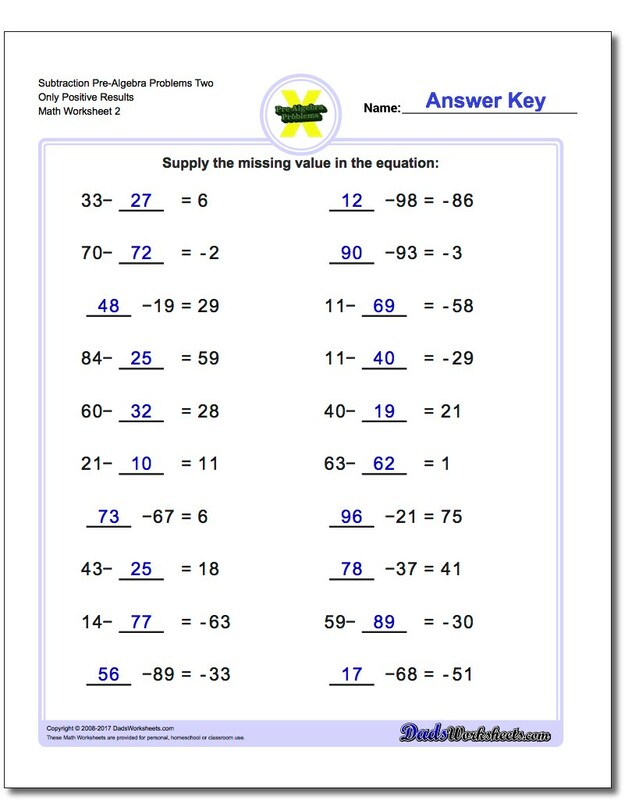 You might even be able to sneak an 'x' in there along the way!